b) The copy to be authenticated. – The translator must be fluent in a foreign language to be translated. – The services must undertake and be responsible for the accuracy of the translation. – One (01) copies of passports or papers alternative value(hereinafter referred to as the personal papers) of the person concerned (with presenting the original for comparison). How to get Vietnam visa for South Africa passport holders? Address: 87 Brooks Street, Brooklyn, Pretoria, Republic of South Africa. 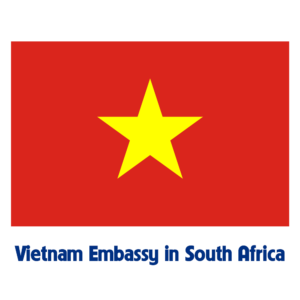 Disclaimers: This is information of The Vietnam Embassy in South Africa, it is provided for information and service purpose .